Loot Crates! They are everywhere at the moment, mostly in games causing outrage with their evil microtransactions!. 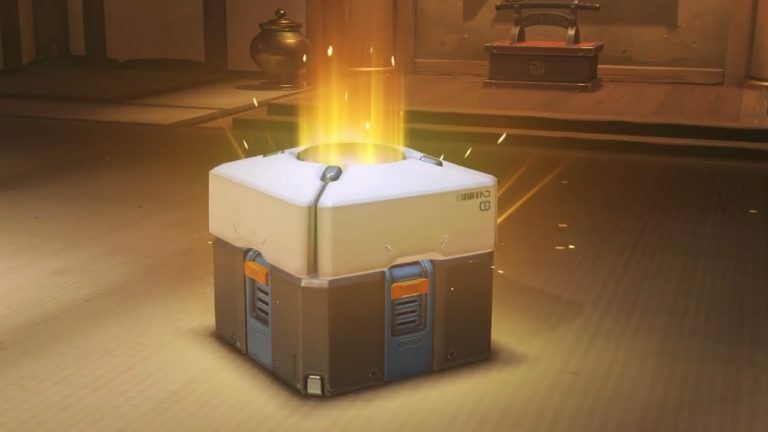 If you aren’t aware of the Loot Crate phenomena it boils down to you putting some hard earned money down to a subscription in hopes of getting some decent swag, sometimes it’s decent, sometimes it may not be your thing. 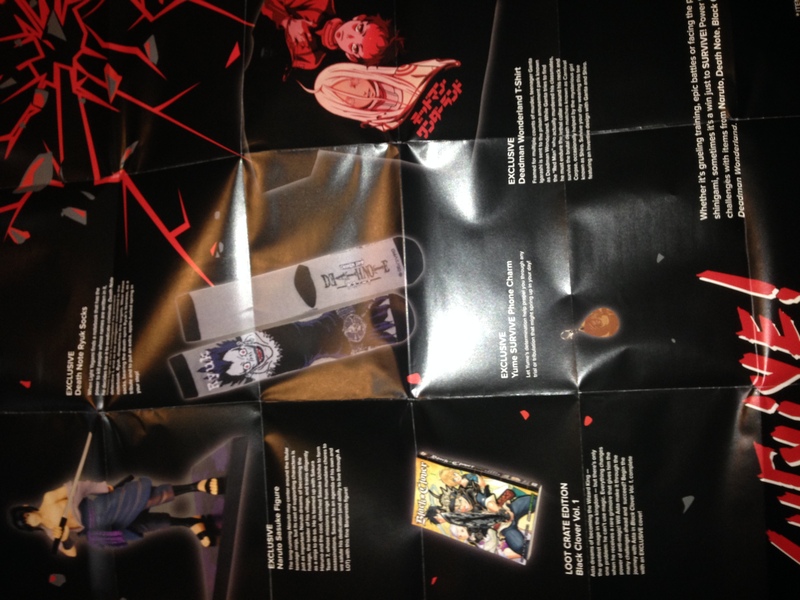 LootAnime part of the LootCrate company is a new feature which as the name implies focuses on Anime/Manga for all us lovely Otaku!. 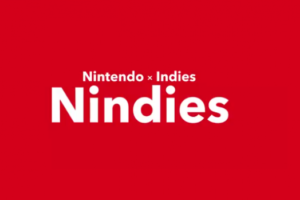 The guys and gals over there sent us one this month to have a look at and see what we thought of it and if it would interest some of our readers. First off you get it sent in a reversible box designed to look like a survival kit, covered in “blood” and “damage, it’s a nice touch rather than it just being a standard cardboard box. 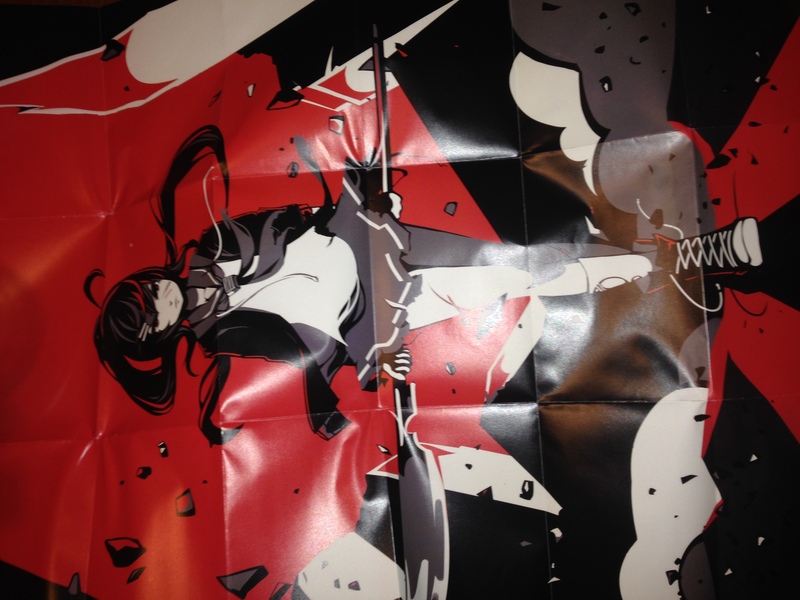 You’re presented with a double sided poster, this month it was Kill La Kill, on the other side it shows you what contents this particular crate has, as you can see from the picture it was quite the bounty this month!. The quality of the figure is fantastic and something that would cost a pretty penny in the shops, especially in the more niche shops that have popped up in the last few years. The T-Shirt I particularly enjoyed as a fan of Deadman Wonderland, I loved the style and the fit, most of all it reminded me I needed to re-watch the series again!. The Ryuk socks are fun and feel fine, I was worried they would feel cheap but they are quite comfy and worry the kids when I’m sat around so it’s a double win!. 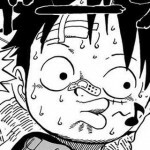 Finally we get to the manga, Black Clover. This is one I have been told so much about and it was good to be able to physically read it from issue 1 to decide if I enjoyed it or not. It’s not a condensed version and that alongside the figure justifies the price of the Loot Crate if I’m honest!. 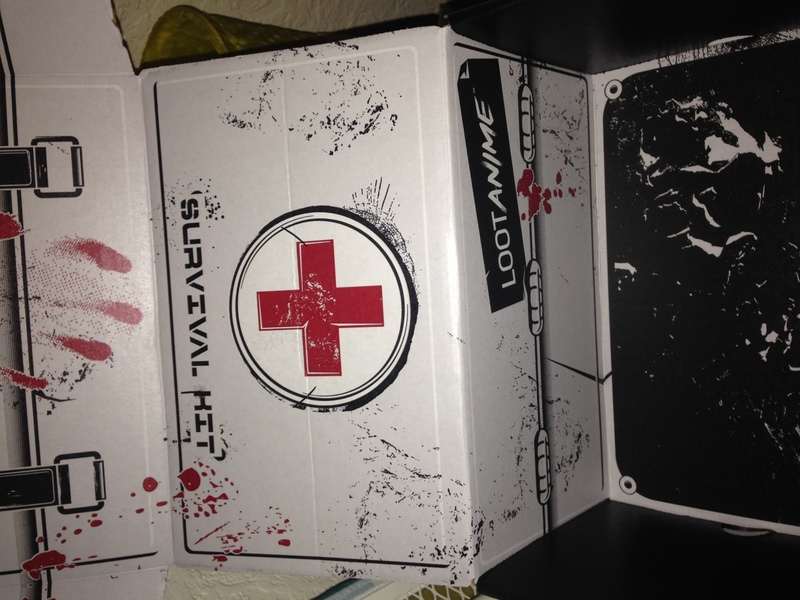 If this sounds like your kind of loot drop head over to https://www.lootcrate.com/subscription-crates/anime where you can purchase a subscription from 1 Month, 3 Month, 6 Month or 12 Month which also comes with a bonus T-Shirt!. It’s £28.00 p/Month and P&P is included! 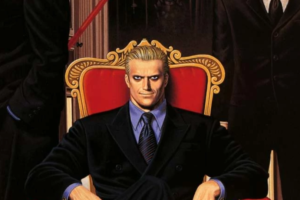 This month one of the features franchises is JoJo’s Bizarre Adventure so I shall be taking a shot on that one!. Digimon World: Next Order Details!